Seattle, WA, March 14, 2018 --(PR.com)-- OfficeSpace.com, a national commercial real estate (CRE) listing service that connects tenants and brokers, announced that it will be the exclusive property data provider for Community Systems, a leading technology company dedicated to the economic development industry. Commercial real estate listings on OfficeSpace.com will now be exclusively featured on economic development organization (EDO) websites across the country and visible to thousands of site selectors, brokers, and companies seeking commercial property data nationwide. 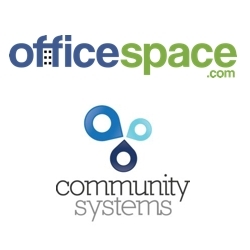 OfficeSpace.com (https://www.officespace.com) is the fastest growing online commercial real estate marketplace that connects tenants and brokers. With over 553,000 on-market listings nationwide, OfficeSpace.com provides lease and sale information for all commercial space types - including office, retail, industrial, flex, and land listings. OfficeSpace.com’s online property database is available to search for free and without any restrictions. Hundreds of thousands of unique users generate millions of building views on OfficeSpace.com every month. Community Systems (http://communitysys.com) provides simple and powerful maps, apps, websites, and data that power intelligent location decisions for communities. Community Systems’ easy-to-use software and tools help create relationships between communities and the people considering expanding to, relocating to, or visiting a location - all while saving organizations time, budget, and resources.